Last Saturday while your brother was at the kitchen table working on various art projects, you discovered a picture of a mouse crawling through a cave, with giant flowers. You took it upon yourself to color his drawing, as if it were a page of a coloring book. Based on the fact you used a green crayon to color the mouse, I take it that you assumed the mouse was a dinosaur. Your brother didn’t seem to mind at all that you decided to help bring his drawing to life. In fact, I’m pretty sure he took it as a compliment. Maybe I need to get him to make you coloring pages more often, now that I think of it. Well, on Tuesday night as I was looking through your daily drawings, I discovered a happy Brontosaurus with his rear end facing what I thought was the pot of food. So the “pot of food” was actually the toilet. The brontosaurs apparently ate the spaghetti and meatballs (though he’s a vegetarian, like you), then just moments later they came out into the toilet. Sounds like that dinosaur needs to have a toilet installed in his kitchen, if that’s the case. Indeed, the dinosaur ate the spaghetti and meatballs and then they came out into the potty. When I was your age, I was still assuming that when I ate food, it simply just went down to my toes. You’re beyond that naïve concept of thinking. Granted, you didn’t present this drawing to us. You casually waited for us to ask to see your daily drawings from school. Of course, I couldn’t help but share your art on my Instagram, which is linked to my Twitter and Facebook. My followers are starting to see a pattern in which potty humor is beginning to play a decent part in what I share about my life. You are into understanding the physics of the digestive track, by default, becoming one who appreciates potty humor. I celebrate you, therefore, I celebrate potty humor too. 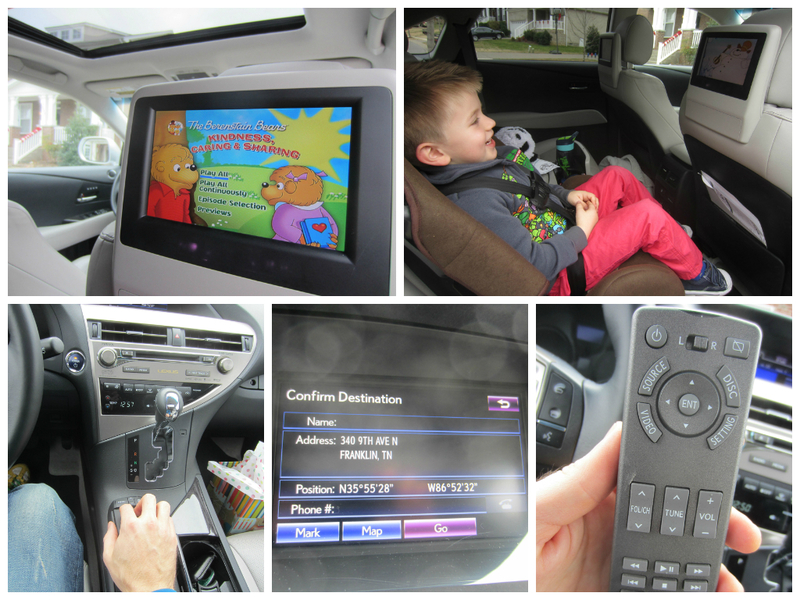 But first, I would like to highlight the features of this vehicle that stood out the most to our family of three. 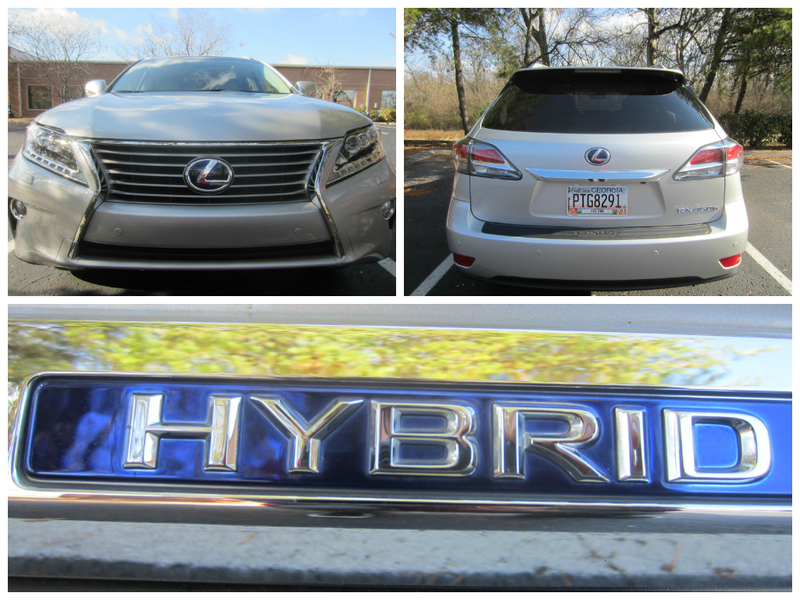 In my “2 Minute Walk Around” video above, I mentioned that driving the Lexus RX 450 is like when Super Mario hops in the cloud and drives it. 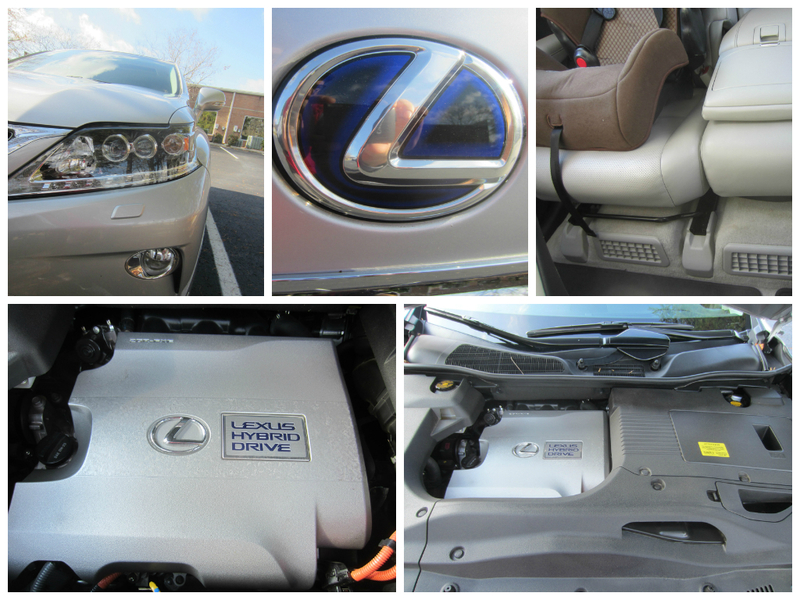 With this vehicle being hybrid, you can’t really hear the engine, providing for an extremely quiet ride and idle. 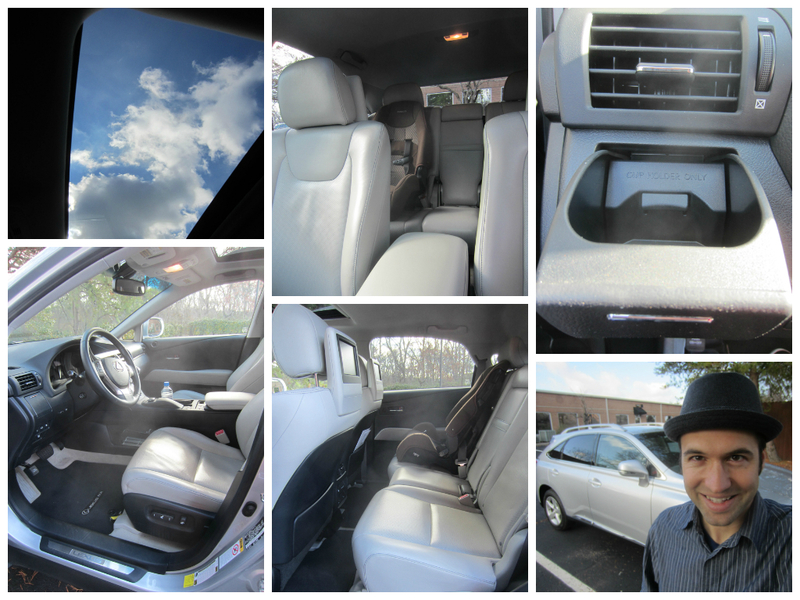 As you can expect from a Lexus luxury vehicle, the cabin itself is like a really classy lounge. 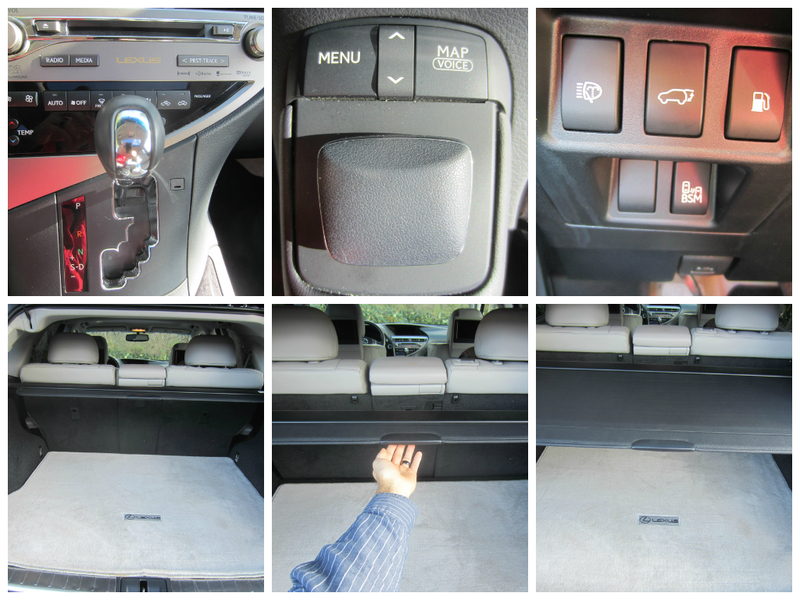 My wife always loves it when we review a vehicle with heated and cooled seats. This was the first time I actually used them myself. 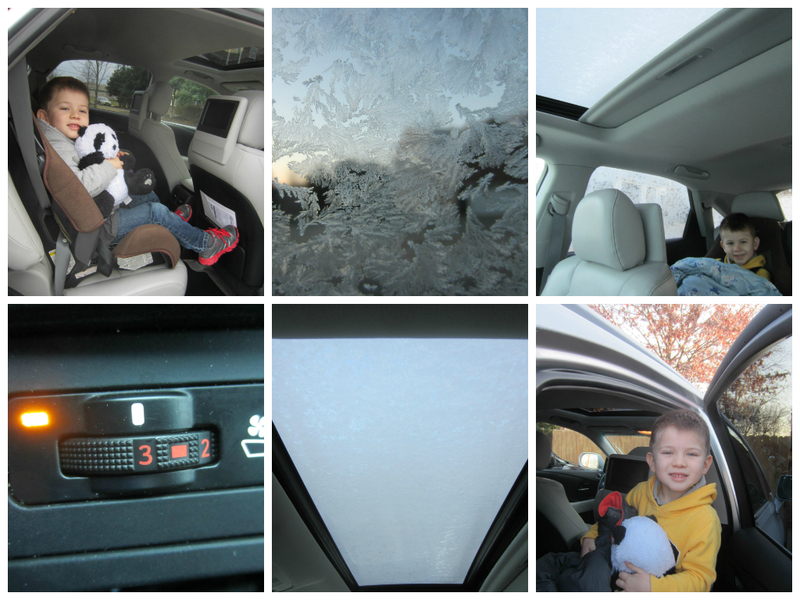 Obviously, as you can see from these photos, things got a bit frosty; so I definitely took advantage of the “bun warmers” feature. I know this may sound like a peculiar feature to highlight, but I really loved the gear shifter. Granted, this was an automatic transmission. But ergonomically, the shifter handle is in the perfect place and I really liked how the handle was a bit longer than most; it somehow made it glide more naturally than most vehicles I have driven. Like every Lexus SUV I have ever reviewed, all I have to do is just press the button on the “fifth door” and it closes by itself. That’s always fun. It was like Jack’s own private theatre in the back seat. 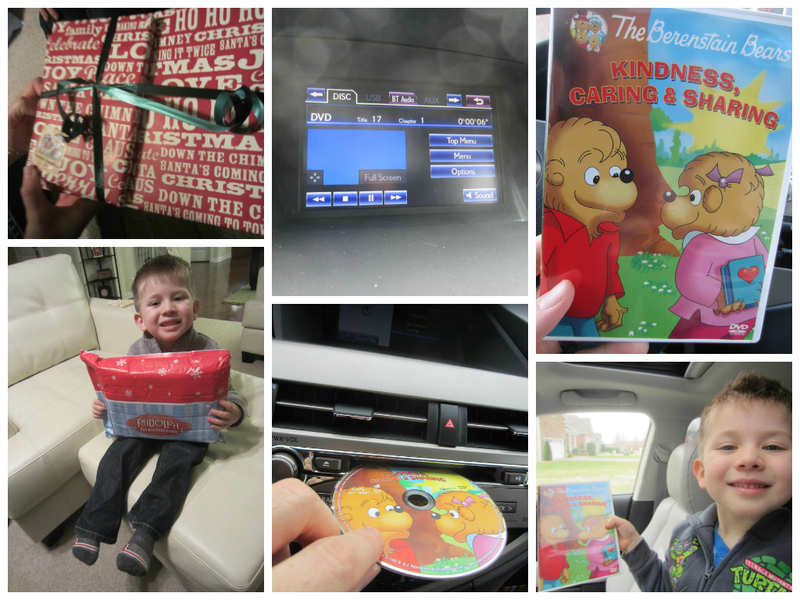 One of his aunts just happened to send him a Christmas present which included a Berenstain Bears DVD. 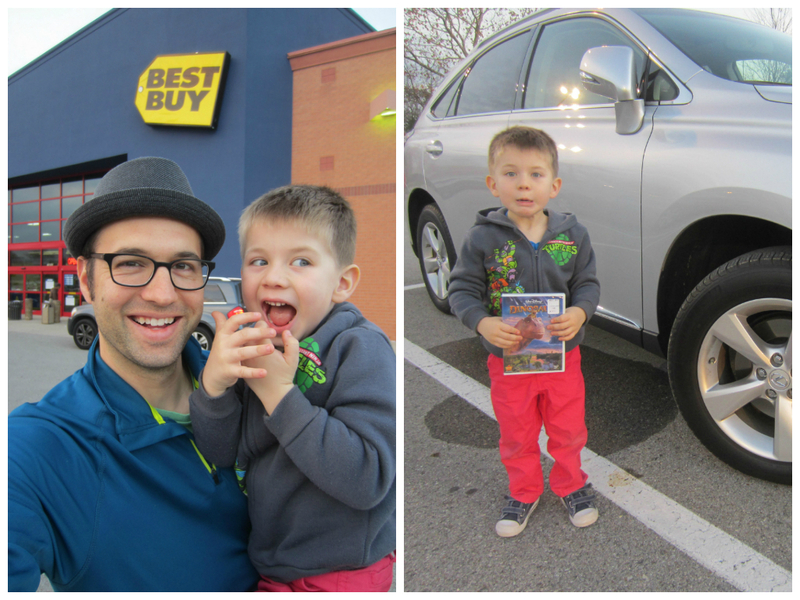 After I saw how special he felt back there, I decided to cash in some points at Best Buy and let him pick out another DVD. 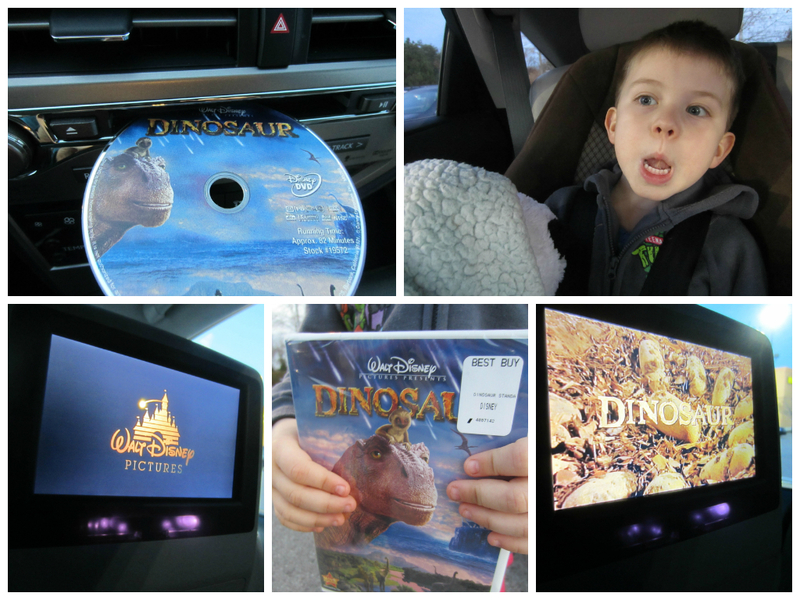 He chose Disney’s Dinosaur, which is perfectly appropriate and relevant for him at this age. There’s my quick overview. 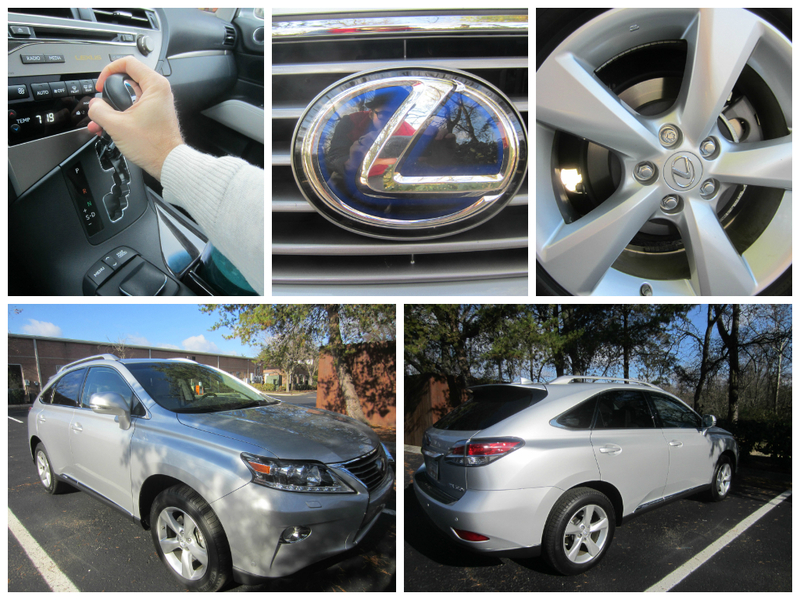 If you have $60,190 to spend on a new luxury SUV, I can’t imagine how the 2014 Lexus RX 450h would be a wrong choice for your family. I didn’t even mention that fact it averages 29 miles per gallon! 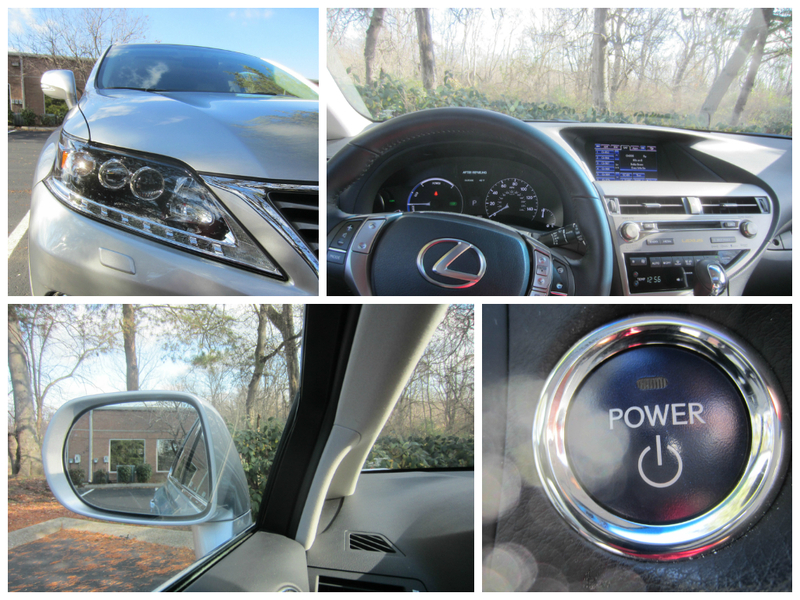 So stay tuned for upcoming posts this week involving the 2014 Lexus RX 450h; including going to see Marvel Universe Live, Santa Claus at Bass Pro Shop, and a Nerf birthday party where they shipped in snow for the kids to play in! 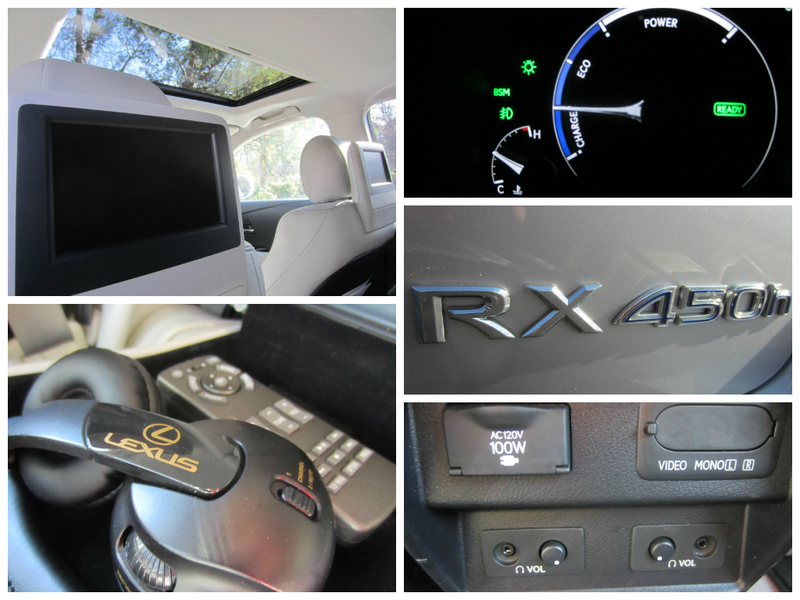 Catch up on the entire series of the Lexus RX 450h Weekend. A lot of exiciting things happened!